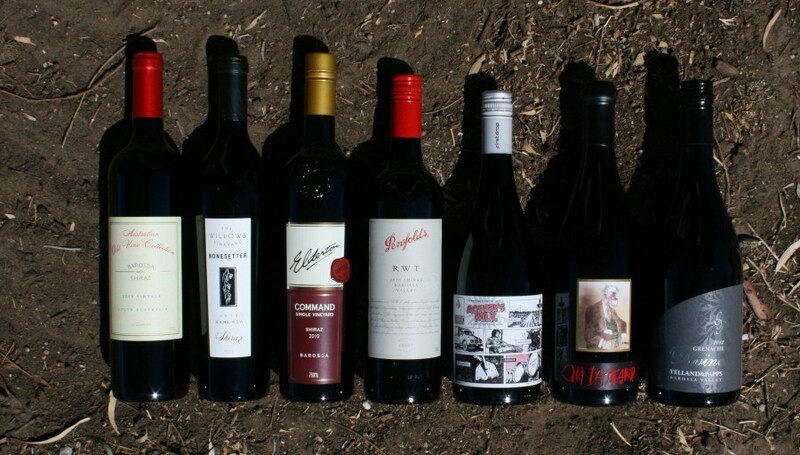 The Nuriootpa Wine Trail allows you to explore the wineries of Nuriootpa via an easy to follow map. Many of our wineries are only a few hundred metres from each other, with the total distance of the trail being just over 8km. 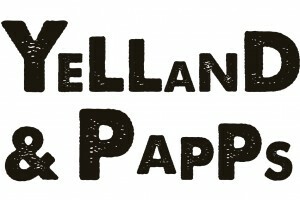 This makes it perfect for a day itinerary. 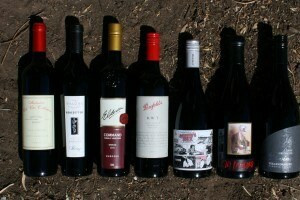 Cycling to each of the Nuriootpa wineries is certainly possible for all levels of experience. Hire bikes from Barossa Tourist Park. If you would prefer to be chauffeured by an experienced guide, a number of local services are available for hire – visit barossa.com for information. Nuriootpa is easy to access from all areas of the Barossa and is only 1 hour drive from Adelaide. 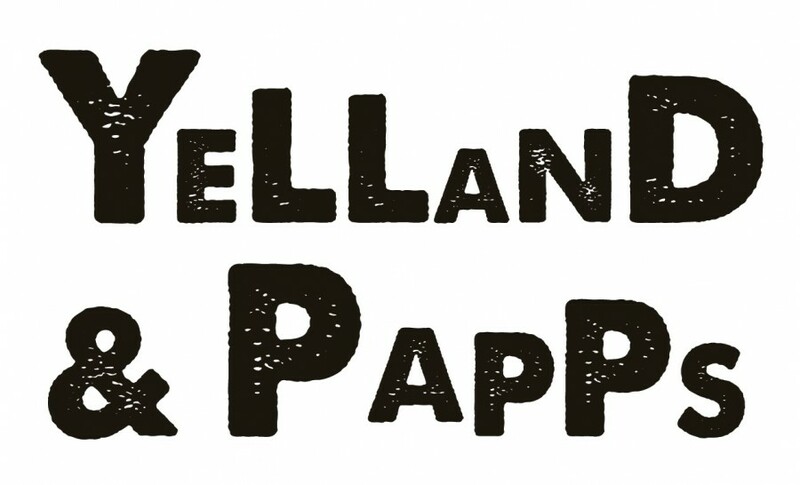 Visit Gibson Wines, The Willows Vineyard, Elderton Wines, Penfolds, First Drop Wines, Kaesler Wines and Yelland & Papps along with The Vine Inn. Each offers wine tasting experiences, with dining options and some accommodation available at selected wineries. Our blog post sets out a one day itinerary for you – check it out on our blog. 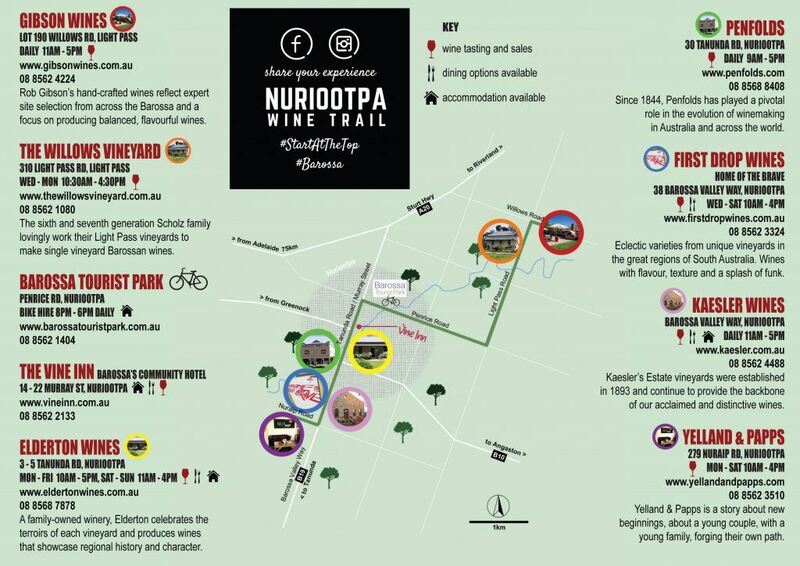 See the Nuriootpa Wine Trail map for all the details!